I didn’t get my first professional massage until I was well into my 20s. There were a few reasons — I’ve always been a bit weird about personal space and people touching me, for one, plus it took me a while to really understand the true value (financial and otherwise) of self-care. If my muscles were hurting, I figured I could just ice ’em, heat ’em, stretch ’em out, and I’d be fine. That approach worked okay when I was a teenager, but became less and less effective as I got older. These days, in order to keep things from getting too stiff and creaky after I push my limits, I know I’ve gotta do more than walk for a few minutes to cool down. I book massages as often as I’m able, but, well, it turns out that understanding the value of massage as an important part of my self-care routine … well, that doesn’t actually mean I can afford to go all the time (and I’m picky enough about what I want that I’ll always pay a bit more for someone who really knows what’s up, even if I can’t go as frequently as I’d like). Even at a super low price, a bad massage is still a (naked) hour of my life I can’t get back, you know? But I can get some of the same benefits with a few products at home — and there’s more out there than just varying densities of foam rollers! (Although, let me be clear in saying that I think foam rollers are AWESOME and I highly recommend incorporating them into your daily life.) So, I wanted to share what I’m using — and what I think each item is ideal for. If you’ve got favorites of your own, share ’em in the comments below! For specific knots and travel: Body Works Ball ($34.99). It’s a ball on a rope with a handle, which might seem overly simple, but that’s what’s great about it. 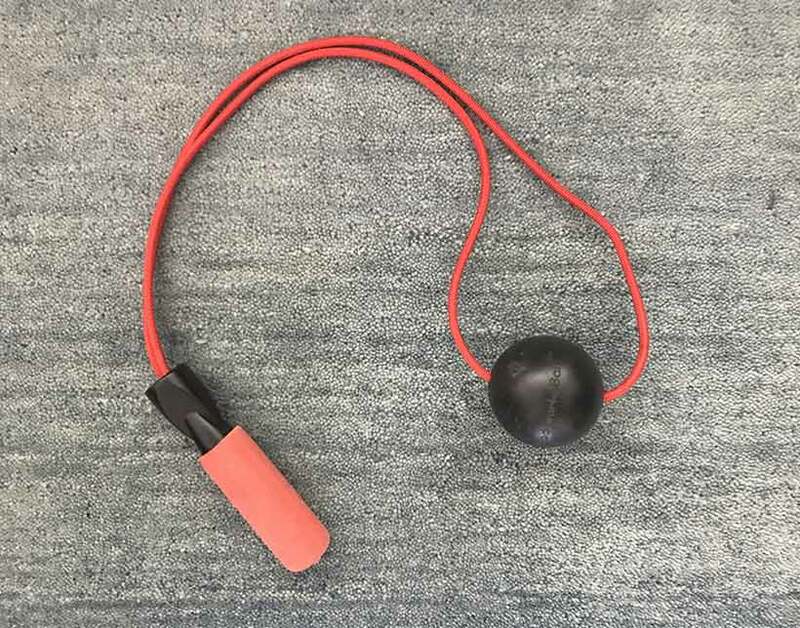 The size of the ball is perfect for digging into (and releasing) knots in your muscles, and having it on rope like this allows you to use it against any way — you just move it up or down or side to side to get it right where you want it. 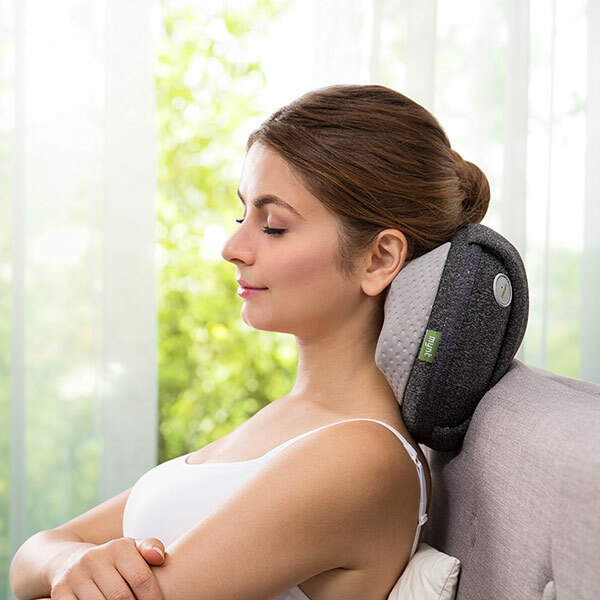 I received one to review a couple of years ago and ever since, I’ve used it during the work day when I feel the areas around my shoulder blades beginning to tense. I also carry one with me when I travel to make sure I’m always able to easily address a crick in my neck or achy, tight feet. For added versatility on the road: The Original Worm ($24-32). Taking the ball massage idea up a notch is this funky product, which holds four solid rubber massage balls inside a neoprene case, so while you can dig into a specific spot with the end, it can also be used like you would a foam roller to target larger areas of your body — but the small size means you can bring it just about anywhere. It’s been amazing on my shins and ankles because the designs allows for a ball to roll along either side of my shin bone, so I can really dig in. 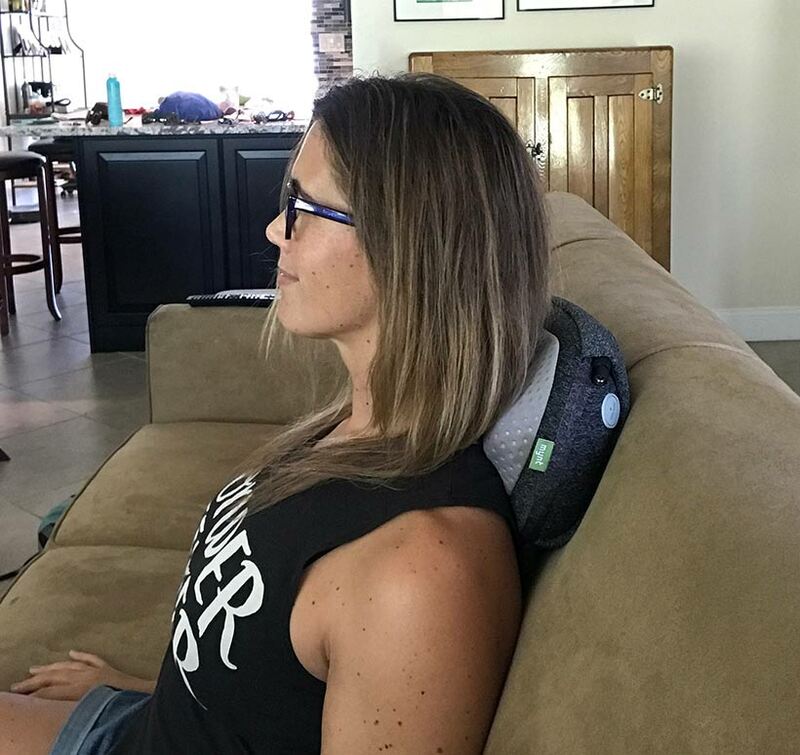 And it’s also helpful for relieving neck stiffness — I put it on a pillow and lay my neck over it, turning side to side and moving up and down a bit. It doesn’t take much effort to feel quite an effect. For general myofascial pain: FasciaBlaster ($64-129.99). 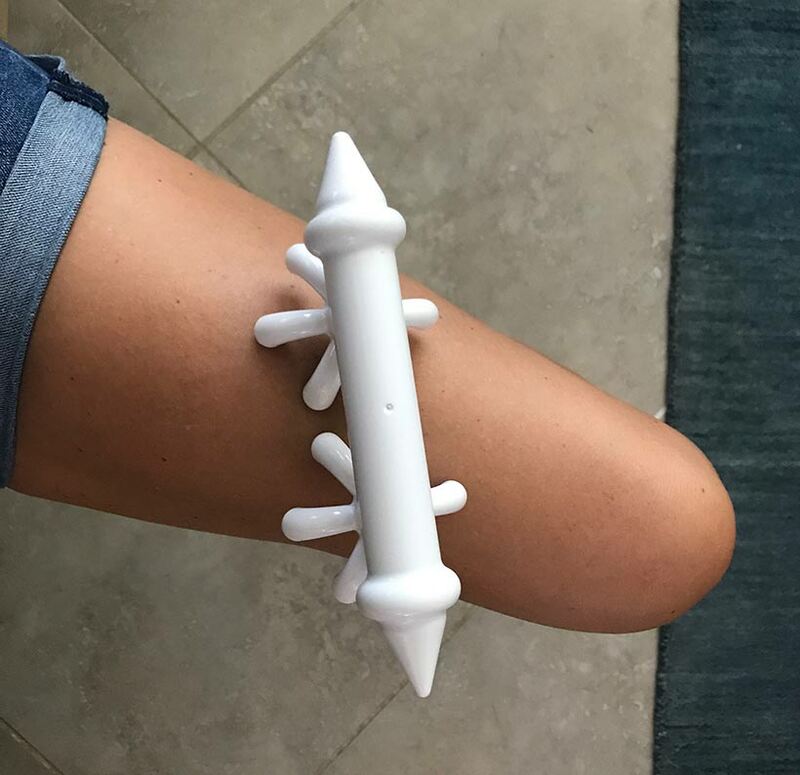 I’d been hearing about this product for a while, and then after I injured myself last fall and found myself dealing with some lingering pain, a friend of mine insisted I give it a try. I ordered a Mini2 (there are a lot of options, and I really find the whole FasciaBlasting world pretty overwhelming, so be warned), and I’ve used it semi-religiously for about a month now, and that’s saying something because it is a bit time- and labor-intensive, as you rub it vigorously up and down and side to side for one to five minutes in each area you’re working. It’s not a miracle cure — and, full disclosure, I’m not using it for the cellulite-reducing claims so I can’t weigh in on that — but I’m moving around more easily, so I’d recommend it. I’m finding it particularly helpful for the tightness and pain I experience along my IT bands and in my hip/lower back areas. I’ve had friends swear it’s helped reduce or eliminate migraines, too, and I’m reading a lot about how it can help with foot pain. So, yes, it requires a bit of a commitment, but it seems to be worth the effort. For a flexible, spa-like experience at home: Mynt Cordless Pillow Massager With Heat (on sale for $39.99).